1. Research The Builder – Buying a new construction is buying a promise. How many projects has the builder completed? Are they good? Do they finish projects on time? How do their condos fair in the re-sale market? Yes, every condo comes with a Tarion Home Warranty, but the standards Tarion enforces are just tolerances on flat walls and level floors. The materials used, execution and delivery time are all controlled by the builder. So in the end it’s the commitment to keeping the promise they made in the sales centre. 2. Dig For The Real Story – Does the builder have an approved site? Will it look like the renderings? Find architectural to-scale drawings of the building. Here you will find all elevations and a site plan. You can find a wealth of info from the public websites (municipal staff reports, and hearing notices/decisions from appeal boards – OMB Ontario Municipal Board and the new LPAT Local Planning Appeals Tribunal). 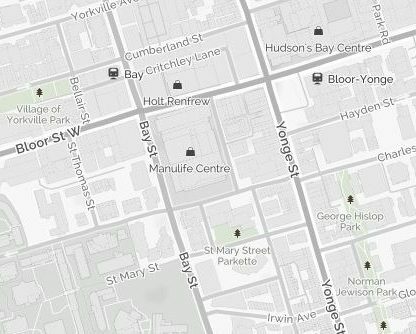 Urban Toronto Forms is often a great place to start for building info, and there is now a full community of people kindly providing info and options. 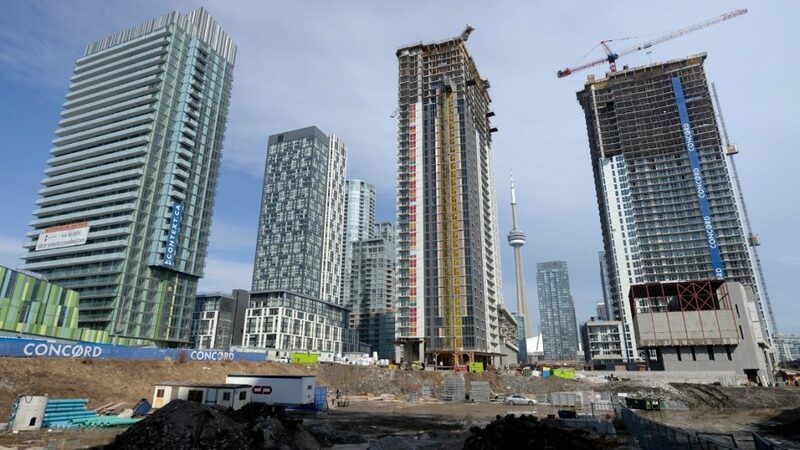 Look around the condo’s site to get an understanding of future development sites and “view blockers”. The land registry is a great place to start here, but accessing it is harder if you are not a realtor or appraiser. 3. Where Is The Condo Going To Be? Location is key and the condo may not be built where the sales center is. Condos should be located at prime spots with access to a wealth of amenities and transit options. If you’re investing, think of your potential tenant. Is it near a school, hospital, groceries, shopping? 4. Understand the Red Sticker Game – Sometimes a building is actually 95% sold out, other times builders release floors or towers in phases to simulate a lack of inventory. Try to get a sense of the situation. If you’re not happy with the inventory of options, let sales staff know. Sometimes previously sold units resurface when buyers walk from the deal during their 10-day cooling off period. 5. Get a Floor Plan Guru – Understanding how lines on a paper will feel once it is built is a skill. Get someone you trust on your side. Builders often set up a sample layout in their showroom, but these might fool you with no ceilings (most condos have 8’ ceilings as standard) and lines for where windows should be. If you want to feel the space yourself, use masking tape on the floor with the actual measurements. 6. 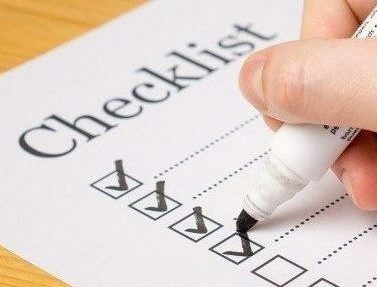 Keep a Checklist so you don’t walk out of the sales center with regret. Does it have a balcony? Is it next to the garbage chute? HST What?? – Declare if you are going to occupy it or rent it out as an investment. A $24,000 HST rebate applies to both, but the builder likely has a rebate clause that allows them to recover any rebates that are due to you. 7. COUNT TO 10…Days to Cool Off – It is mandatory for all condo sales to be conditional in the buyer’s favour for 10 days in order to have a Real Estate lawyer review the Agreement. Do this ASAP! This is a must. Remember, the Agreement of Purchase and Sale is drafted by the builder’s lawyer and commonly 50+ pages of clauses written with the builder in mind. Resale condos agreements are 5-7 pages and are drafted by OREA with the interest of balancing buyers, sellers and realtors). 8. Organize Your Cash – Most common deposit structures ask for 15% to 20% of the purchase price in 5% increments within 180-365 days of signing. If you default on a payment you could be in big trouble. 9. On Your Mark, Get Set, WAIT! – Sure, you’re all excited about your new purchase but make sure to manage your expectations. The builder has a rough idea for when they’re advertising occupancy, but they are allowed to change this date, within reason. The First Tentative Occupancy Date and Final Occupancy Dates are required on the Statement of Critical Dates but are allowed to be changed with correct notice. Many things may change the timing of completion – how quickly the building sells out, builders obtaining their financing, contractor strikes, and material shortages. Prepare for the worst so your expectations are managed, but use Tarion’s Critical Dates Calculator for a better understanding of the dates and what they mean for your specific condo purchase. 10. What’s the PDI? – The Pre-Delivery Inspection is the first time you see your finished space, and a chance to inspect and declare any issues you see with the finish. Be picky here. More is more here. Get friendly with the builder’s rep and get your hands on the green tape they use to point out issues but don’t get too friendly so that you’re not comfortable listing things that are wrong with the unit. It’s their job to limit the list of repairs. Systematically look at all the surfaces. Check all the appliances, HVAC units, windows, doors, plumbing fixtures, and closet hangers. Don’t worry, you’ll have an opportunity to list anything major that goes wrong within the initial timeline, but now is the time to detail nicks and scratches. If you think you won’t be able to be slightly confrontational, bring a friend or relative who is politely able to communicate issues. PDI’s are often limited to the purchaser and one guest. Occupancy Fee – Builders put in the agreement that the moment your unit is ready, they can push the keys in your hand and charge you an “occupancy fee”. This fee is calculated using anticipated carrying costs (Mortgage + Maintenance Fees + Property Taxes). Extended House Warming Party – The rest of the building needs to be finished, so all the required contractors will need to use the elevator, hallways, visitor parking, and of course, the loud drill. Assume you’ll wait forever for elevators during the day, and suffer the little incidental annoyances. There will be plywood and paper everywhere to protect for any damage during this time. Coming Soon – Common elements like the gym and pool are common items the builders complete last. It’s also possible telecom companies haven’t fully installed all their services to the building. Warranty Process – During your PDI you may have discovered things that need to be repaired/replaced. Contractors need to get into your unit to make these changes and they may or may not give you notice. I still need to paint? Builders often just prime the walls, maybe with a touch of colour in the primer. Primed walls are not durable and show wear and tear very quickly. 12. Maintain Your Ability To Get a Mortgage – Builders will require a mortgage approval from you (often through the bank that is financing their project) at the time of signing the agreement. If you are buying another property or changing your employment status, keep your other condo purchase in mind if you need to re-qualify for the mortgage. 13. 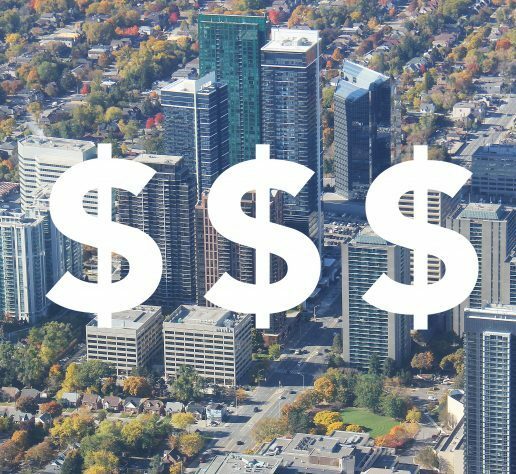 Brace for the First Year: Low Rent & Higher-Than-Advertised Maintenance Fees – If you’re an investor, expect a surplus of units in your building when you list it for rent. All the other investors in the building are in the same boat. So an influx is created in the market. You may have to take less rent than expected for your first tenant just to get the income coming in. 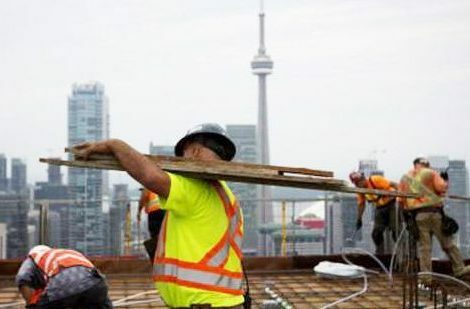 For maintenance fees, the builder is required to set up the building’s financial situation, often with a required contribution to the reserve fund. The maintenance fees can change dramatically for year 2 once the actual expenses are known. 14. Tarion Home Warranty – Fill out the forms on time within 30 days to a year. A good builder is committed to keeping a clean record with Tarion. Understand Tarion’s Construction Performance Guidelines when/if you’re fighting for something. 15. Maybe Evaluate The Resale Market? Some of our buyers prefer to see what they are buying and to know their numbers. This sometimes requires more work, and upfront investment, and offers some benefits. It is great for understanding current values in the area, compared to the Pre-Construction options. 16. Assignments? Buyers with significant down payments available might evaluate assignment sales, This means they would take over a condo purchase agreement from the original buyer prior to or during the occupancy period. Shamless plug….We know condos, and believe an educated buyer is the best kind. When you’re buying something you can’t see or touch, detailed information should form the backbone for an informed decision. Our clients get a lot of info. Call us at 416-222-1212 or email us at team@oulahen.com to get more information or ask any questions.